Jon Osborne is currently editing his draft of When the Axe Falls, his next Four Horsemen novel. You’ll want to read it when it comes out, because I’ve enjoyed his other stuff. He’s also a fun guy to stand next to at a con. I run cinematic games, relying heavily on ‘theater of the mind’, seeking to tell a fun and immersive story. When I write, I try to bring the readers into the world – I want them to see the action and hear the characters’ voices – and have fun along the way. As my stories are character-centered. I like for characters to have distinctive traits. I feel it not only makes the story more immersive, it helps the readers readily identify and keep track of the characters. I think character interaction is my strength. The relationships between my characters are organic – I want them to feel like real people. Do you find it as hard to write about yourself as some authors (myself included) find it? Rob’s Answer: Depends on the question. If we’re talking about my philosophies, not really. I like good philosophical discussions. I can also talk about things I’m fanatic about, like Rush or the Dallas Cowboys or Firefly. But there’s a lot of questions I ask that I’ll struggle with when I do my own one of these. Also, some of the questions other authors ask me are really tough. I’m awful at tooting my own horn, so much so that it hurts my sales dramatically. It’s something I need to work on, actually. DragonCon 2018 is the last con for a bit. Jon R. Osborne has been gaming since he was thirteen. He studied journalism in high school and majored in journalism in college. 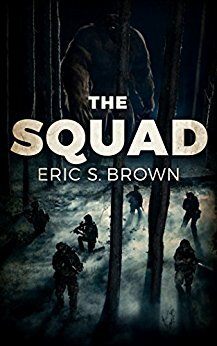 Many years later, he finally combined writing and story-telling with his first published work, a short story in the military science fiction Four Horsemen Universe. 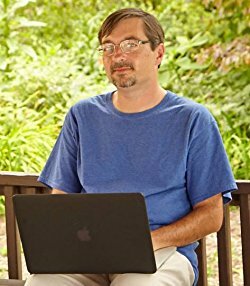 A year later, Jon has had a second story published, as well as two novels in his urban fantasy series, The Milesian Accords. The second book, A Tempered Warrior, is a Dragon Awards finalist for Best Fantasy Novel. 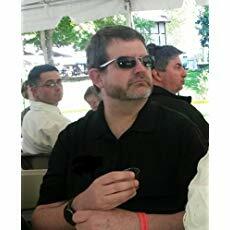 Jon lives in Indianapolis, where he continues to play role-playing games, and is working on the third book of The Milesian Accords as well a novel in the Four Horsemen Universe. You can find out more at jonrosborne.com. The good news is that I reached my 50th birthday this summer. The bad news is that reaching 50 comes with some new, fun routine medical stuff. One of those things happened this week. I had an unpleasant Tuesday, a worse Wednesday morning, and a stoned Wednesday afternoon. Suffice to say, while I’m glad I did it, I didn’t enjoy it despite the doctors and nurses doing a great job taking care of me. That slowed me down this week, but I still had a productive week. I sent off a short story to an editor this morning. I *think* it’s pretty good. The story certainly jumped into my head and demanded to be written. However, I never know if a story is any good until someone else sees it. Now all I have to do is wait until the editor reads it and gives me some feedback. Argh. Anyway, I didn’t do much with The Feeding of Sorrows this week because I wanted to get that story out of the door. What I did do was add some scene ideas. I discovered that while I’ll never plot huge details, I am having some success scribbling scene/chapter ideas on 3×5 cards. I used a similar technique when heralding an SCA court and I’ve already seen some benefits. If there’s one thing I’ve learned as a writer it’s that there’s one true way of writing and that’s what gets words on the page. Unfortunately, that one true way is not necessarily obvious and I keep trying to improve my methods. Keep plugging away. Speaking of plugging away, Tales from the Lyon’s Den was released today. I’m not in it. However, I’m in the second of these two anthologies, which will be called Luck Is Not a Factor, which is coming out in about a month. The Four Horsemen Universe is huge, and I’m glad I get to play in that sandbox. I head down to the Great Plains Renaissance Festival in Wichita today. I’ll be in the Author’s Pavilion, so if you’re out there, come on by. The Trees by Rush. Lots of listening to Rush lately. Shocking, I know. I mentioned it yesterday in my Magazine Review this week, but it’s such a good quote I’m going to use it again. 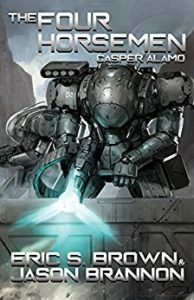 This week I’m reviewing the If (Volume 7, No. 4) from June, 1957. 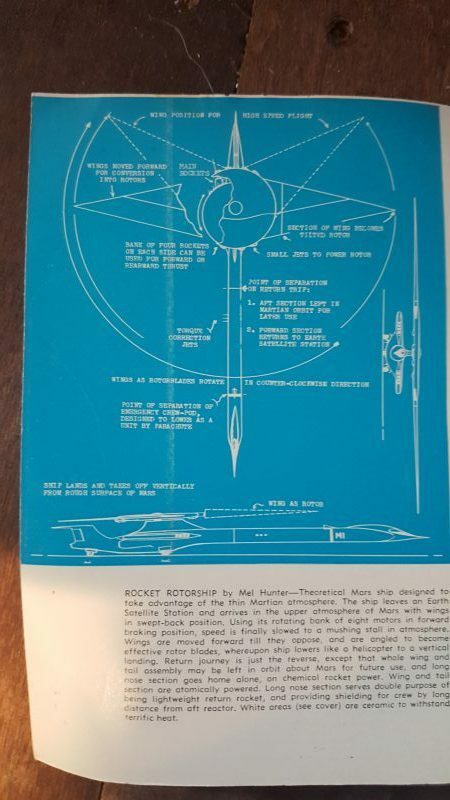 I guessed I was going to like this one, given that it has an Asimov and a Biggle, but if I had any doubt, the rocket rotorship Mars lander by Mel Hunter that’s on the cover with the diagram on the inside front cover. This issue starts with the Editor’s Report by James L. Quinn. It’s a bunch of short, interesting things he’s found in the previous month. He had a good eye and in this day and age he would probably be a well-followed blogger. In this case, much of what he included relates to this issue of If, including small biographies of a couple authors in the issue. I wish more editors had done this, actually, as it’s quite interesting to see what the editor thought at the moment, especially before I read the stories. 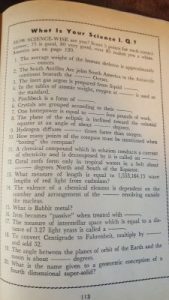 He also talked about the Industrial Bulletin, which was a small sheet of interesting, fact-filled information. 1957 Clickbait! I’m a sucker for that sort of thing, and now I’m putting A Scientific Sampler, which has the best predictions, facts, and notes in my Amazon wishlist. So, I suppose I should actually talk about the stories in this issue. First is Pretty Quadroon by Charles Fontenay. It’s a fascinating story about a number of different timelines related to whether there’s a second Civil War. Basically, if Beauregard Courtney meets and loves Piquette, then there will be a second war of varying results. In one, the South wins, in another the North wins, in a third the Russians nuke New York and other cities. If he doesn’t meet her, the second war does not happen. This story is both well-written and fascinating, given that it’s written by a Tennessee man during the beginning of integration in the south. Not only that, it has the backdrop of the Cold War and fears of nuclear war. The story is thoughtful, challenging, and yet smooth to read. It is no wonder it was republished in Jim Baen’s Universe of October, 2008. Walter Tevis is next with Operation Gold Brick and wow, what a fascinating find! Tevis is the author of The Hustler and The Color of Money. His other novel that got turned into a movie was The Man Who Fell to Earth, which starred David Bowie. The story is a fun one about the US Army trying to build a tunnel through the Appalachians for a monorail track. They have a converter which easily cuts through the stone and creates a perfect tunnel, but suddenly it stops, having hit on a large gold brick. They try a pick, otherwise known as a manual converter, but that doesn’t work. Then the Army tries a variety of increasingly absurd ideas. They convert the *entire* mountain, but all they manage to do is end up with a gold brick sitting in the air about four feet off the ground. A physicist comes in and says this is the point, the fulcrum point, of Earth’s orbit. Ultimately, with a super bomb, they manage to move it, which sends the Earth on an orbit which will fall into the sun. As a side note, this is message fiction done right. The story is humorous, catchy, and the reader keeps wanting to know more. In some ways it is a short story version of Dr. Strangelove. This story makes me wonder if Peter George, who wrote Red Alert, the basis of Dr. Strangelove, had read it, because it has the same sort of humor and message. Next is an essay by Robert S. Richardson entitled the Face of Mars. You might have read his science fiction under the name Philip Latham. This essay talks about telescope images he worked with when Mars approached very close to the Earth in 1956. Reading the science articles in these magazines is odd to me. I am no scientist, though I’ve read quite a bit about various scientific topics (and more now that I’m a writer, shout-out to my monitors at the FBI and NSA). However, I am standing on the shoulders of giants. I know more about Mars than Richardson did, yet he was widely recognized as an expert. He even helped as a technical assistant for Destination Moon. It’s a weird thought that’s hard to avoid as he’s describing specific aspects of astronomy and it all seems fairly basic. Amazing what’s transpired in 62 years. Aldo Giunta’s Jingle in the Jungle is the next story. I had never heard of Giunta before, and it’s no surprise. This is the only speculative fiction he ever published. He was a playwright and a cabinet maker, as you can see from the linked obituary. This story is about a future where boxing is much like it was in the 1930s, especially with all the corruption and fixing, except with robots. This was another great story. A trainer, Charlie Jingle, has been working with an old boxing robot, Tanker Bell, for fourteen years. It’s way out of date and they can hardly get any fights. Then they stumble into a fight and beat the contender robot made by the shiny, big fighting-robot corporation. But it’s a fix. It’s all a fix. The goal is to build up an outsider and suggest it has a chance. Then the champ wins big and looks even better and better. But Charlie has another idea and he tricks the Tanker into thinking he hasn’t got a chance and gets the robot mad and tricky. Ultimately Tanker Bell wins, and it is only then that he realizes his trainer has tricked him and gotten him to fight better than his best. Rocky before Rocky and with robots. Isaac Asimov is one of my favorite writers. The Foundation and Hari Seldon shaped a style of magic in my world of Shijuren. Elijah Bailey and R. Daneel Olivaw helped convince me hardboiled detectives can work in any time period. His entry in this issue shows why. This issue’s entry is Does a Bee Care? If you click on the title links of most stories, you’ll find that the links almost always go to the bare ISFDB page. There’s rarely much on those pages, and I link to them as much to highlight the title as I do to give you places to find more information. In this case, though, the story is so powerful that it has its own Wikipedia page. The story goes like this. An ovum was placed on Earth. The ovum grew to a creature that looked like it was human, though it was not. For 8,000 years it influenced civilization to help humanity achieve spaceflight. In the story, it has ensured that in one of the first rockets to the moon there’s space enough for it to fit inside. When the rocket reaches space the creature achieves full maturity. It is, finally, able to return to its home. The twist is that while we see the creature manipulating things, Asimov guides us along the path of focusing on its point of view. Then at the end, asks if the bee cares what has happened to the flower after it has gotten the pollen. What a neat take on things. Lloyd Biggle, Jr. is next with …On the Dotted Line. The story is about a car salesman getting transported to the year 2337. He’s a great salesman, but in 2337 salesmen are hypnotists, and all he’s got is psychology. But that’s what he is, a salesman and he’s got to figure out how to make his way. Fortunately for him, after a couple of years the hypnotists are discovered and Congress passes laws outlawing hypnotism in sales. This is the salesman’s chance. And he does pretty well, for a time. However, with his sales comes publicity, and after people have seen his pitch, they don’t buy and he loses his sales job. He’s a smart man and he succeeds in the field of space mining. He finally, however, figures out how to sell one more thing, essentially the moon Callisto, and retires, confident in his ability. At the end, though, the compulsion is still there, and he’s looking about for something else to sell. It’s a good story, which doesn’t surprise me. Biggles had a neat way of looking at things, I’ve found, and this is an example. He made a *salesman* into a sympathetic figure. Dan Galouye is another new writer to me. His story here is Shuffle Board. This is the first average story in this issue. Earth in a century or so will be filled with various radioactive waste. The main character is tasked with preventing the radioactivity from contaminating as much as possible. In the end, the increased radioactivity changes humanity so we’re not as susceptible to its affects. I think this story didn’t catch me because it seemed a little obvious to me, but that’s in part because of my perspective in 2018 as opposed to 1957. I sort of expect humanity to adjust, if needed. More importantly, I felt the underlying causes see farfetched now. This is unfortunate, because the story is well-written. I’m definitely looking forward to reading more from Galouye, and maybe the twist at the end will surprise me. As a side note. Dear Editor of any magazine, please avoid, “Continued on page X” for any story, especially for the last 3 paragraphs. Ah, well. Anyway, the next story is called The Human Element by Leo Kelley. It’s a fun story that connected to me because our protagonist hearkens back to an earlier time. Unfortunately, in his era, living in the past would get you sent to the Psych center. However, our hero has expressed his rebellion by putting on a clown suit and running onto stage in a modern day circus. The circus is nothing like we would think, and no one there had seen a clown before. He’s a hit, and the circus owners hire him. In many ways, this story is nothing but the cotton candy the hero reminisces about. But I am someone who lives in the past quite often, and I do wonder about today’s society. Next is a fun little game, a science quiz. I’ve included the image. Have fun. Then we have a series of science briefs. More little notes and tidbits from science. The most interesting one to me was the idea that we’d have nuclear-powered aircraft in the early 1960s. Finally, we get to Hue and Cry, the letters to the editor. I always enjoy reading these, and this one had several focused on the idea of humanity and humanism as discussed in a previous If. Oddly, as I type this, I happen to be listening to the album Hemispheres by Rush. The title song is about humanity’s challenge to balance thought and emotion, which apparently the earlier If issue talked about. Odd timing, there. Overall, this was one of the better magazines I’ve seen so far. 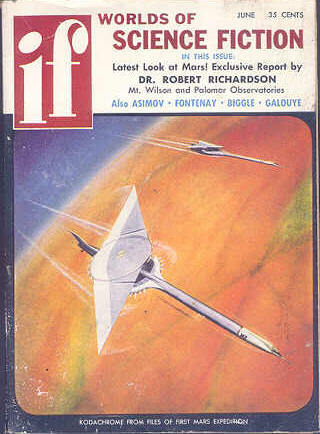 It didn’t sell well, though, and is one of the shorter-lived SF mags of the time. It’s a shame, though, because I’m looking forward to reading more of them. Next week I’ll be reviewing the most modern issue I’ve read so far, the Fantastic from March, 1974. This issue’s cover story is by Brian Aldiss and Fritz Lieber reviews some books. Good stuff to look forward to.